The incoming Polar Vortex brings with it the risk of frostbite and hypothermia within minutes for large swaths of North America, according to AccuWeather. "Some locations in the Midwest will be below zero continuously for 48-72 hours," said AccuWeather senior meteorologist Mike Doll. It will also lead to some nasty road conditions and authorities are urging people to stay indoors. “I cannot stress how dangerously cold it will be,” Doll said. 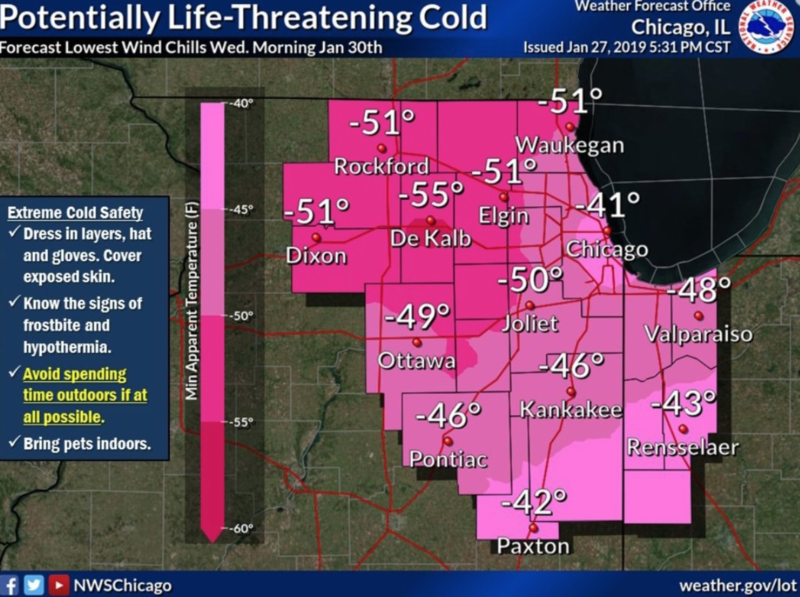 "An entire generation has gone by without experiencing this type of cold in the Chicago area." Should you need to venture out, motorists would be wise to take in these safety tips courtesy the Bridgestone Winter Driving School in Steamboat Springs, Colorado. Assess Your Tires and Vital Systems - Before pulling out of your driveway, make sure your car is in good, working order. When it comes to seasonal road conditions, the more grip you have on the road, the better. In wet or icy conditions, more grip will mean more control. Look Ahead - Reading the roadway for signs of trouble can give you the extra few seconds you need to brake safely while avoiding a collision. Wet or slick greatly reduce stopping ability. Be Prepared In Case You Get Stuck - Get ready in case you are sidelined by an emergency. A roadside emergency kit is a must. What about other necessities to cope with getting stranding? Many people dress for their destinations instead of where they are traveling through. This can lead to a serious situation if a stranding occurs where immediate help is not available. Avoid multiple maneuvers. Drive to deliberately avoid quick, reactive driving. A car’s major systems are meant for acceleration, braking, and steering, but not all at once. Expecting a car to do more than one of these operations at a time can be dangerous on winter roads. Watch the Barometer Fall Check temperature on your driving route- Few people take into account the effect temperature has on the air pressure in their tires until the grip they rely on isn’t there. As a general rule, a 10 degree drop in temperature reduces tire pressure by one point.